Kingdom Of Style: A Doughnut You Can Sit On? A Doughnut You Can Sit On? Au Contraire my stylish chums. Come sit on my doughnut! It can be yours for only £69.99. 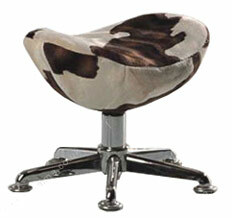 It is half price in the sale at egamma , which is one of my favourite web sites for chairs. It is by far the most comprehensive resource I have come across, and you know how much I like chairs.